Retailers today face a variety of new challenges including a concentrated selling season, customers being lured away by big-box stores, and constant margin pressures. 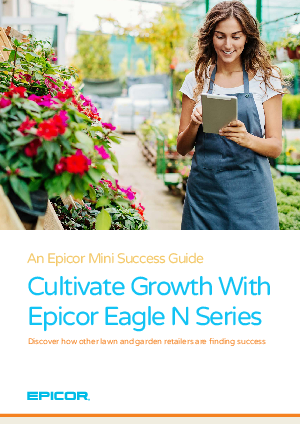 In this guide you’ll hear directly from Lawn and Garden retailers and learn how they have leveraged Epicor Eagle N Series to grow their business and drive superior customer service. Focus on your business and drive superior customer service, while your technology works with you seamlessly. What do your Lawn and Garden peers powered by Eagle N Series have to say about it? Get this guide to find out.